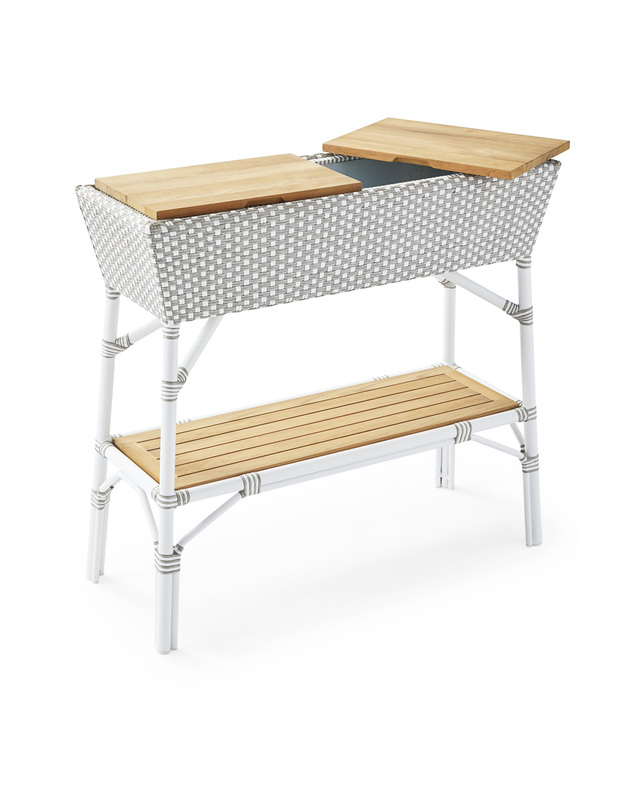 Outdoor Riviera BarOutdoor Riviera Bar, alt="Outdoor Riviera Bar, "
Print Part bar, part party bucket, this outdoor console is always ready for a good time. 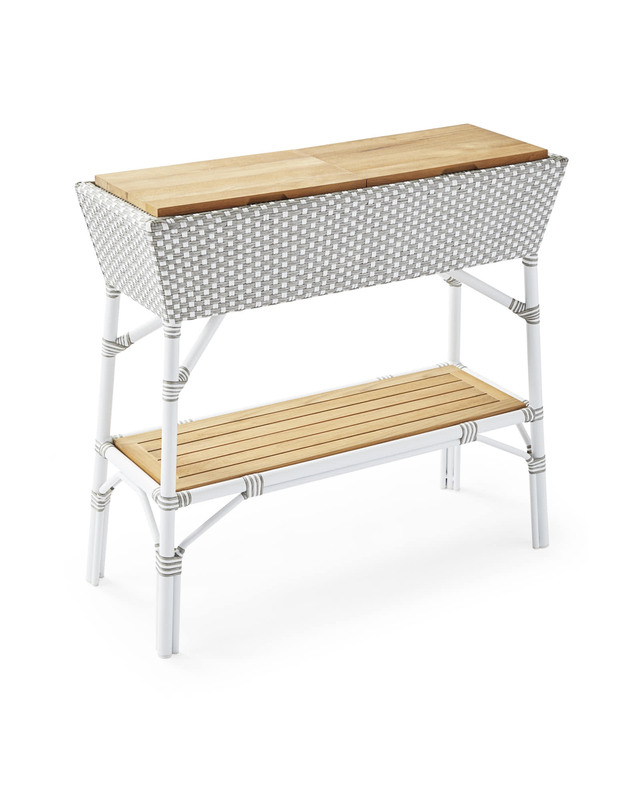 The powdercoated aluminum frame makes it fabulously weather-friendly, and the two removable teak lids create an instant work surface. 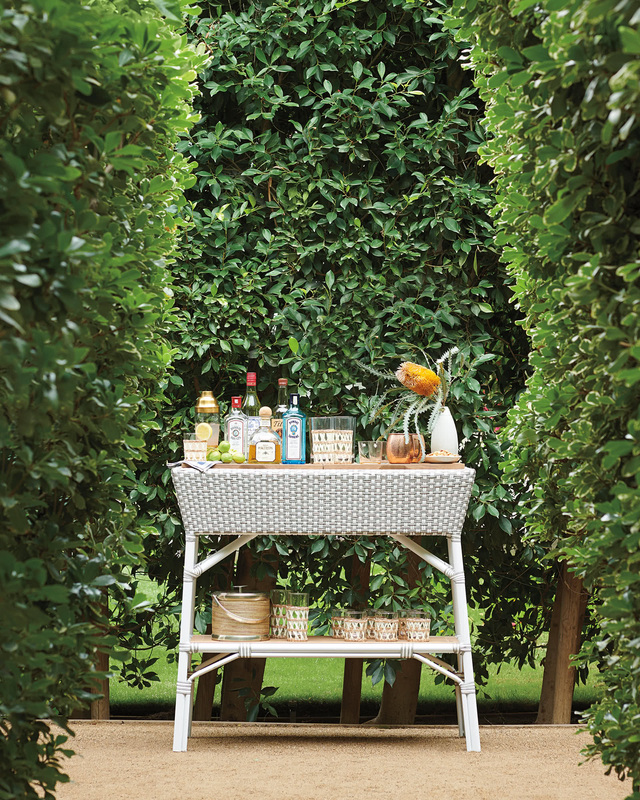 With two water-tight bins below the teak lids and a lower shelf for storage, you’ll have plenty of room for drinks, glassware, and other essentials. For added interest, we applied our exclusive finish to the weave, giving this piece a truly distinctive look. 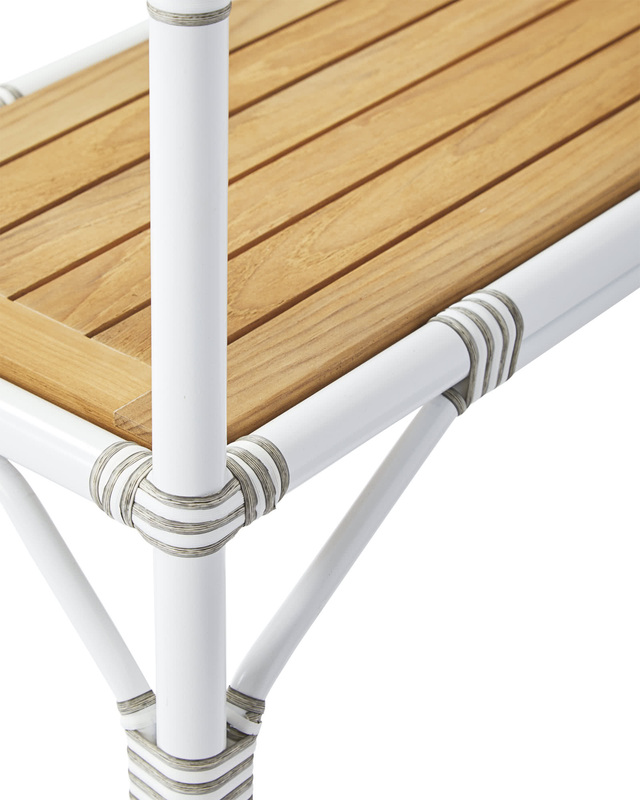 It’s a timeless piece of furniture that braves the elements in style. 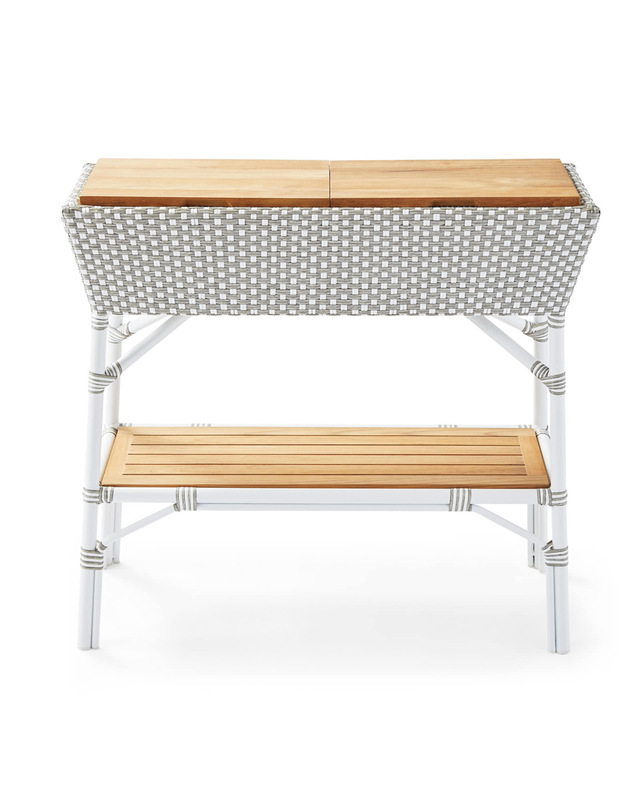 Powdercoated aluminum frame with hand-woven resin wicker in our exclusive Harbor Grey finish. Two removable teak lids and one shelf. Designed to repel water, resist mildew, and stand up to extreme sun, heat and rain without fading. 39.5"L x 15.5"W x 37"H overall. Shelf Interior: 35.5”L x 12”W. Bins: 17"W x 9.5"D x 6.5"H.